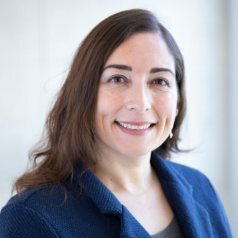 Carla Uranga joined the Department of Genomic Medicine at JCVI in 2018. Working in the oral microbiology group led by Dr. Anna Edlund, Dr. Uranga’s research is focused mainly on bioprospecting the metabolome and proteome of microorganisms, with an emphasis on the induction of secondary metabolism and specialized small molecules produced by microbes and their relation to disease or health, and the proteins surrounding their production. Little is known about how microbes metabolize host substrates, and which specific host substrates are able to induce secondary metabolism in microbes. Understanding these microbial processes may provide insight into the maintenance of healthy vs. disease states in the mouth and inform efforts to develop effective oral probiotics for the prevention of periodontal disease. In San Diego since age four, Dr. Uranga has a B.S. in Biochemistry from UCSD, and a doctorate in Biochemistry from CICESE (Centro de Investigación Científica y Educación Superior) as a UCMexus fellow in Ensenada, Baja California, Mexico. Prior to joining JCVI Dr. Uranga was at PaxVax, a vaccine development company working on developing purification methods for Zika and Chikungunya VLP vaccine candidate large-scale manufacturing. Bioprospection and characterization of primary and secondary metabolites from microbes in the human microbiome. Identify factors in primary and secondary metabolite induction. Evaluate physiological function(s) of metabolites. Characterize the metabolome holistically of human oral microbes of interest and how they utilize host-derived substrates. Assess the impact of human dietary sugars on human oral bacteria and their metabolism. Organic acids are known to break down tooth enamel, currently little is known about which oral microorganisms produce which acids in healthy vs. disease oral environments.